Kalev Kukk as an alternate member of the Riigikogu, took the oath of office before the Riigikogu. 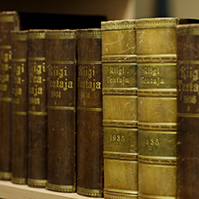 The Riigikogu passed with 69 votes in favour the Resolution of the Riigikogu On Amendments to the Resolution of the Riigikogu On the Formation of the State Budget Control Committee of the Riigikogu (880 OE), presented by the Res Publica Faction. Aivar Õun, instead of Taavi Veskimägi, was appointed a member of the Committee. 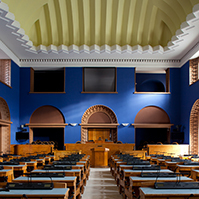 The Riigikogu passed with 70 votes in favour and 2 abstentions, the Resolution of the Riigikogu On the Appointment of Members of the Council of the Foundation Established for the Use of Proceeds from the Environmental Usage to the State Budget (889 OE), submitted by the Environment Committee. 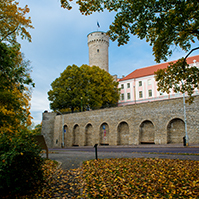 Pursuant to the Resolution, Members of the Riigikogu Henn Pärn, Rain Rosimannus, Jüri Saar and Helir-Valdor Seeder were appointed members of the Council. The Riigikogu concluded the second reading of the Bill on Amendments to the Local Government Election Act (831 SE), initiated by the Government of the Republic, and the first reading of the Bill on Amendments to the Blood Act (894 SE), initiated by the Government of the Republic, and the first reading of the Bill on Amendments to the Environmental Charges Act (876 SE), initiated by the Environment Committee. 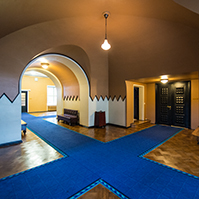 The Bill on Amendments to the Heritage Conservation Act (674 SE), initiated by Members of the Riigikogu Trivimi Velliste, Mark Soosaar and Imre Sooäär, was rejected from legislative proceeding on the final vote. 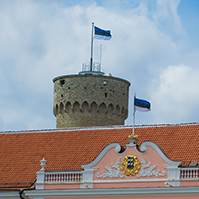 38 members of the Riigikogu were against the Bill, 32 in favour of it and 2 abstained. On the motion of the Finance Committee, the Riigikogu withdrew two Bills from legislative proceeding. 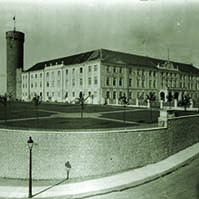 The Draft Resolution of the Riigikogu Proposal to the Government of the Republic (847 OE), submitted by the Res Publica Faction; 46 members of the Riigikogu were in favour of the motion and 28 against it. The Bill on Amendments to § 232 of the Income Tax Act (858 SE), initiated by Member of the Riigikogu Eiki Nestor. 44 members of the Riigikogu voted in favour of the motion of the Finance Committee, 21 against it and 1 member of the Riigikogu abstained. Due to the end of the working hours of the sitting, the first reading of the Bill on the Repeal of § 7(3) of the Republic of Estonia Principles of Ownership Act (830 SE), initiated by the Res Publica Faction, was adjourned. The legislative proceeding of the Bill will be resumed on Wednesday’s sitting.